Offshore Wealth Management – way to grow your assets! 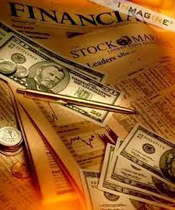 Large companies and individuals regularly use offshore wealth management companies as mediators to hold investment portfolios, which may consist of stock, bonds, cash and other financial instruments. These investments can earn deposit interest gross or can be placed in collective cash funds. Offshore companies are also regularly used for inheritance purposes and to decrease probate costs. These kind of companies can ensure privacy and clients can reduce professional costs. To decrease risks to both corporations and individuals, it is very important to choose a politically and economically stable jurisdiction. What is Offshore Wealth Management? Offshore wealth management – is a combination of investment management and financial advisory of meeting clients needs by providing appropriate financial products using an offshore structure. It offers many advantages for both corporations and individuals. They regularly use these companies for the ownership and management of investment portfolios. Offshore companies are regularly used for protection of the ownership and management of investment portfolios. Individuals and legal entities often use offshore structures to organize a succession to reduce tariffs and taxes. These kind of structures keeps the confidentiality of transactions. ICD Fiduciaries works with banks whose reputation and professionalism are recognized by the international finance world. Connection between gains and risks are in the center of any investment strategy. It must be matched with the asset’s strategy and the risks accepted by the customer. Many investors use traditional investments like a real estate and banking products, at fixed rates. However, from the long-term investment perspective, it can be much wiser to invest in capital holders whose performance is always more attractive. ICD Fiduciaries specializes in offshore wealth management solutions. Contact us to find out more about our offshore services for enterprises and individuals. – Shchengen Visa and Residence permit.